Our knowledgeable staff is dedicated to providing you with the best treatment for your hearing loss. Hearing is an important part of everyday life. Make sure your hearing is the best it can be with a hearing evaluation at on of our six West Virginia locations. Our team of hearing professionals and trained staff members are dedicated to helping each patient with their hearing care needs. We truly understand the importance of hearing healthcare. Our goal is to provide each customer with the tools and knowledge they need to confidently wear and care for their hearing aids. View our online videos for educations information. Welcome to Advanced Hearing Solutions, Inc. of West Virginia, where, as soon as you walk through the door, you will be greeted with a warm and friendly “Hello!” and will immediately feel at home. We understand that hearing is an important part of everyday life, and since our first day in January 2010, our goal has been to provide you with the best technology and products to protect and improve your hearing. Audiology is the science of hearing, and hearing related disorders such as hearing loss, tinnitus (ringing or noises in the ear), balance issues, and more. As hearing specialists, we work to prevent and treat hearing loss, and preserve what is left of your hearing. We are committed to getting to know you as an individual and helping you with all your choices. We have been helping families hear life again for the past 7 years and are enjoying every moment of it. We are willing to help each patient in any way we can. Our staff members work with a variety of programs to ensure that we do our best to help every person who comes into our office experience better hearing. 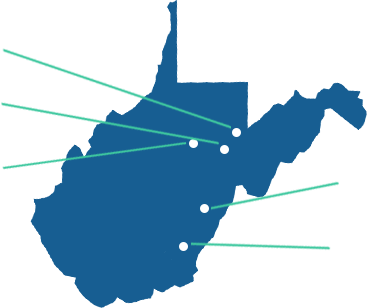 Advanced Hearing Solutions is an independent dispensing office, serving all surrounding counties including: Randolph, Barbour, Lewis, Upshur, Tucker, Greenbrier, Pocahontas, Webster, Nicholas, Fayette, Raleigh, Harrison, Ritchie, Summers, Monroe and more. Call us today and find out why nothing gives us more pleasure than letting our family help your family hear life again! Our professional staff is dedicated to helping each and every patient with their hearing healthcare needs. Read what our patients have to say about our practice and what you can expect with your visit to Advanced Hearing Solutions. At Advanced Hearing Solutions, our hearing specialists and trained staff genuinely care about your hearing and your wellbeing. When you visit one of our five locations, you will find that we treat each patient like family and do everything we can to make your visit enjoyable and productive. No long lines, no overbooked time slots, just great service from the best hearing specialists in the area. We also cater to emergencies and repair services as best we can along with home visits and hospital visits. We do everything we can to help you achieve the best hearing possible, so that you don’t have to miss out on life’s special moments. We truly have your best interest at heart, and we don’t want you to leave without feeling anything less than 100% satisfied with your visit. 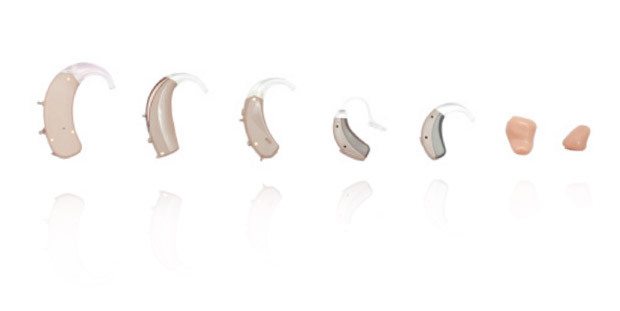 We offer a wide range of hearing aids and diligently work to find the perfect fit for each and every client. Contact us today for more information or to schedule an appointment at a location near you. All of them are in the Easter Bunny. 38 since someone already guessed my previous number. 65 and if I am right, please give it to someone else!! ©2019. All rights reserved. Powered by Digital Soup.